Under lång tid var Walvis Bay en mycket isolerad plats i Namiböknen och på Atlantens kust Dess huvudsakliga tillgång utgjordes länge av en revel som möjliggjorde säker uppankring längs kusten, praktiskt taget den ända platsen av sitt slag längs den 1350 km långa Atlantkusten i Namibia. Av vad som skulle kunna ses som en historisk nyck förblev ett område på 1124 km2 (ca 30x40km) - känt som Walvis Bay enklaven – under Sydafrikansk kontroll även efter det att Namibia hade blivit självständigt 1990. Denna kontroll innebar fördelar för Sydafrika i en situation som då alltjämt kännetecknades av starka motsättningar i Södra Afrika. Men allteftersom Sydafrika kom att förvandlas minskade spänningarna och under 1994 överlämnade Sydafrika enklaven till Namibia. Denna bok är det enda skrivna dokumentet om vad som hände när Walvis Bay blev en del av Namibia. Betoningen i berättelsen är på hamnen i Walvis Bay som är enklavens viktigaste tillgång. Walvis Bay was for a long period a very isolated place located in the Namib Desert and on the Atlantic coast. Its main asset was a sand spit that allowed for safe anchorage, virtually the only such place along the 1350 km of coastline of Namibia. By the twists and turns of history, an area of 1124 sq.km of territory became known as the Walvis Bay enclave, and remained under South African control in 1990 when Namibia obtained its independence. The control of the enclave gave South Africa considerable advantage in a situation still characterised by conflict in Southern Africa. It was an unacceptable situation to the Namibian government, but also to the international community. For a while it was feared that this dispute could result in continued hostilities in southern Africa. However, as South Africa quickly moved towards majority rule, tensions eased and in 1994 the enclave was integrated into Namibia. The transfer was by no means easily accomplished. Whilst agreement was reached at the government level, there were private parties who sought to influence the course of the development in their own interests. As a consequence – and unknown to most – the assets of the port of Walvis Bay remained under South African control and were actually not fully taken over by Namibia until a few years later, in 1996. 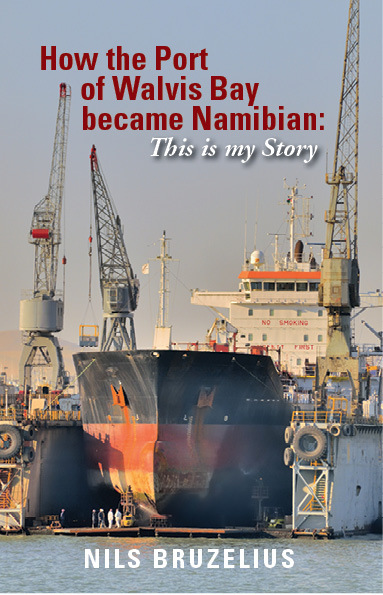 This book is the only written document on what actually happened when Walvis Bay became Namibian. The emphasis of the narrative is on the port in the enclave, its main asset. 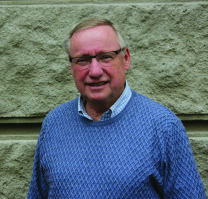 Nils Bruzelius is a Swedish national with many years of experience from working for donor agencies and international financing institutions. His main expertise is in transport economics. He holds an M.Soc.Sc. in industrial economics from University of Birmingham, UK, and a Ph.D. in economics from the University of Stockholm, Sweden. One of his main assignments has been to assist with preparing for Namibia’s independence from South Africa during the end of 1980s. He later – during the period 1993-95 - served as an advisor to the Namibian government when negotiating the reintegration of the Port of Walvis into Namibia. Contrary to the wishes of Namibia and the international community, Walvis Bay remained under South African control when Namibia became independent. A successful solution to this conflict was achieved by 1995.